Sebastian Stępień, a CD Projekt Red developer who worked on all three Witcher games before becoming a creative director on Cyberpunk 2077, has left the company for a new role at Blizzard entertainment. Stępień’s Linkedin profile states that he made the move from Warsaw to Blizzard’s offices in Irvine, California earlier this month, but doesn’t state what project he’s attached to. The profile does, however, mention that he joined CD Projekt Red in August 2006, ahead of the release of The Witcher in 2007. It’s not immediately clear, but it looks like he worked on all three entries in Geralt of Rivia’s series, before being promoted to creative director of Cyberpunk 2077 in February 2013. He took on an additional role in 2016, working as narrative and setting director on the game until leaving for Blizzard. 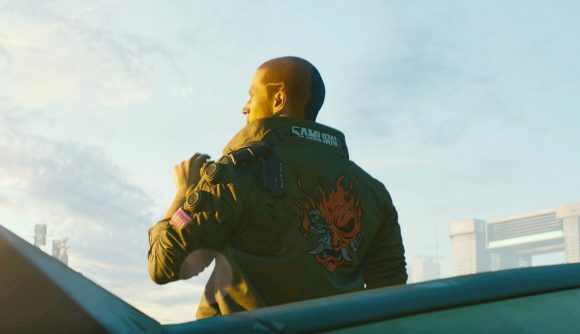 Given what we’ve already seen of Cyberpunk 2077, there’s a good chance that his work was more or less already done – gameplay demos that appeared last year seemed to suggest that more or less all of the game’s narrative is basically decided on, and we know that Night City is already looking pretty impressive. Given the overlap that’s apparent between CD Projekt’s development schedules, Stępień’s departure could be construed as bad news for fans of The Witcher. There’s never been any official word on The Witcher 4, but if we’re expecting a Cyberpunk 2077 release date in the next couple of years, it’s relatively safe to assume that CDPR is already working on its next game behind closed doors. For Stępień to have left the company, having previously worked on all three titles in the series, might suggest a new adventure isn’t on the cards just yet. Also of note is what game might have pulled Stępień have way across the world, away from a company he’s worked for for more than a decade. Blizzard has dozens of current job openings, many of them for unannounced projects, but whether Stępień is moving for Diablo 4, a new WoW expansion, or something entirely new is anybody’s guess.